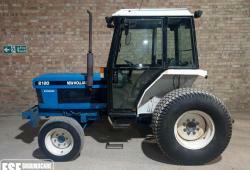 New Holland 2120 TractorNew Holland 2120 tractor. 1998 year with 4245hrs. Excellent Condition for age. 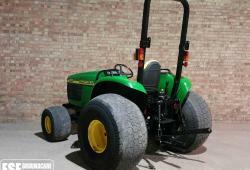 42hp, 4wd, p steering, cab, rear pick up hitch, PTO, rear linkage, mechanical transmission with creep box, road registered. 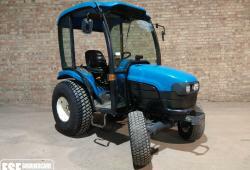 New Holland TC27D Compact TractorNew Holland TC27D Compact Tractor. 2000 year with 2146hrs, 27hp, 9x3 manual transmission, rear linkage, drawbar, power steering, 4wd, diff lock, cab with front screen but NO doors or rear glass. Good Mechanical Condition.